EAGLE HOTEL - SWINDON, THIS IS SWINDON. Opened in 1867 as the Robert Burns by William Thomas, the owner of the nearby canal side coal wharf. 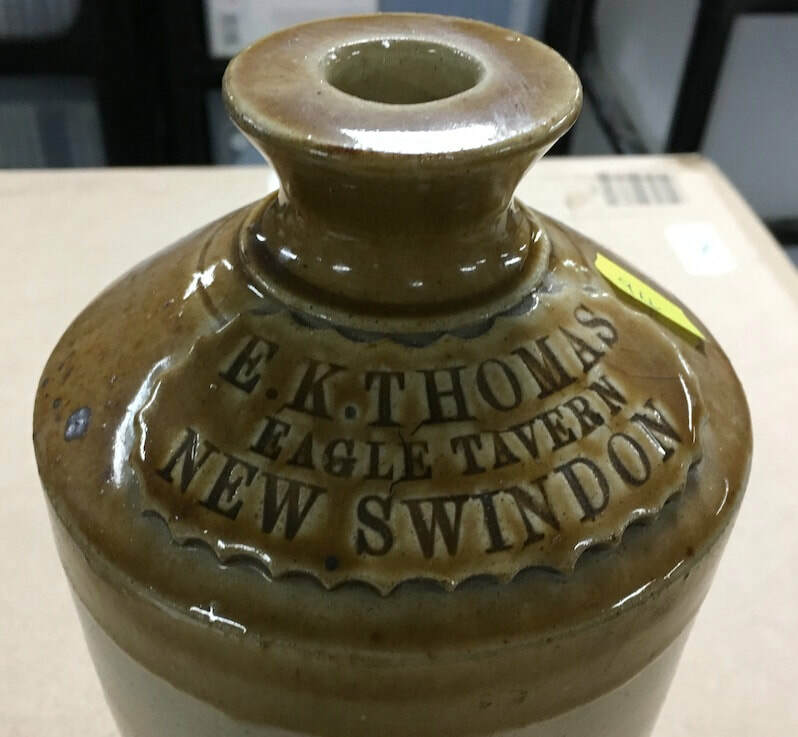 However, by 1870 it was known as the eagle, presumably after the trademark of Clinch & Co. of Witney, whose ales were on sale. Upon completion an application was made for a spirit license. This was refused by the magistrates on the grounds that there were 14 beer houses and public houses within 500 yards. 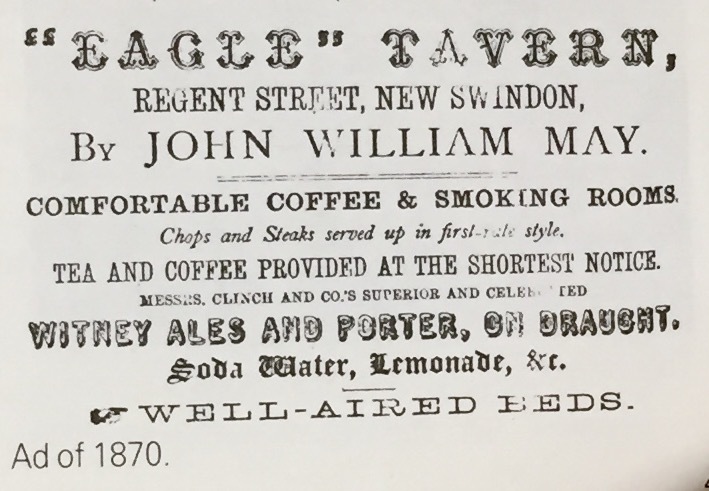 At that time the population of New Swindon was but 12,000 people and there were 25 pubs – one to every 480 persons. 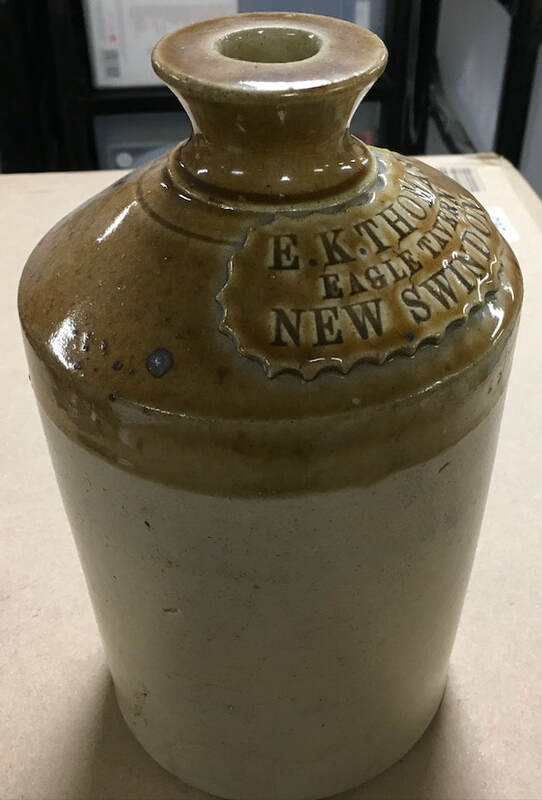 A spirit licence was finally granted in 1896. At some time the ownership passed to Devenish who rebuilt the front part in hideous “modern” style in 1946. It finally closed around 1950. From David Backhouse’s boo﻿k “Home Brewed﻿"